Want to see my breakfast for the week? It involves oats and fruit. back into my breakfast rotation. 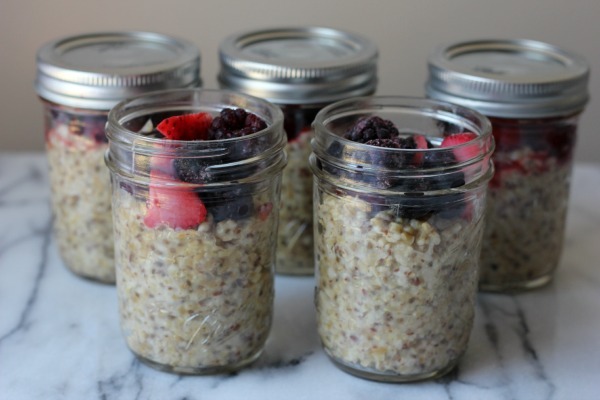 So on Sunday I made steel cut oats and berries in a jar. Breakfast for a week done. What a time saver these little jars of goodness are. toss one in my tote bag for breakfast later at work. 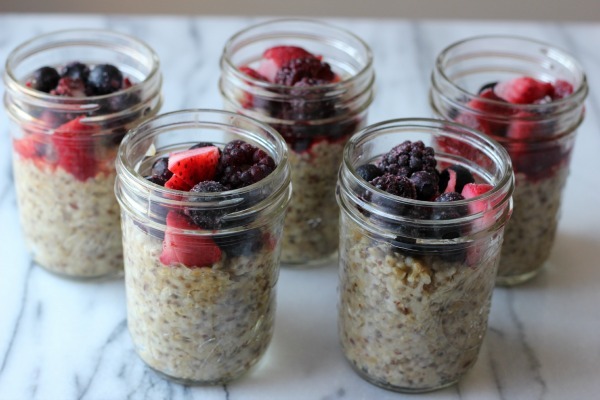 Add the steel cut oats, flax seed and chia seeds. Simmer for 20-25 minutes, or until water is mostly absorbed. Stir in maple syrup. 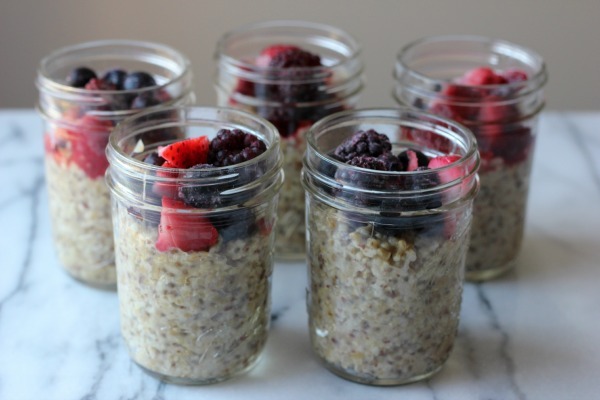 Divide oats into 5 jelly jars. Top with frozen berries. 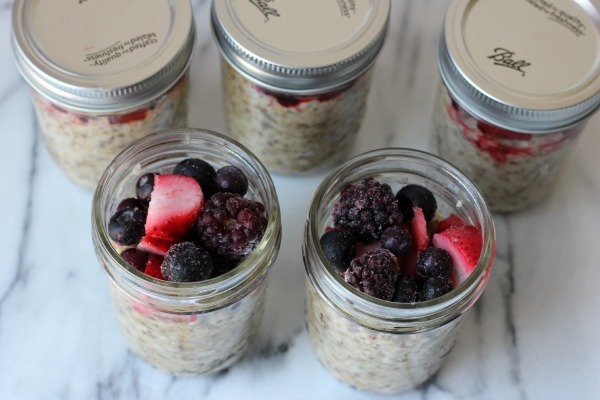 Put the lids on each jar and refrigerate. 1 minute. Stir, add a little milk and enjoy your healthy breakfast!